OMG Nail Strips Review - Polish Etc. I was recently asked to review some real nail polish strips from OMG NailStrips. I don't usually wear nail strips like these because having a wild pattern on every one of my nails is a bit "loud" for me. I love bold nail art on other people but feel self conscious myself (isn't that silly? I'm a nail blogger!). 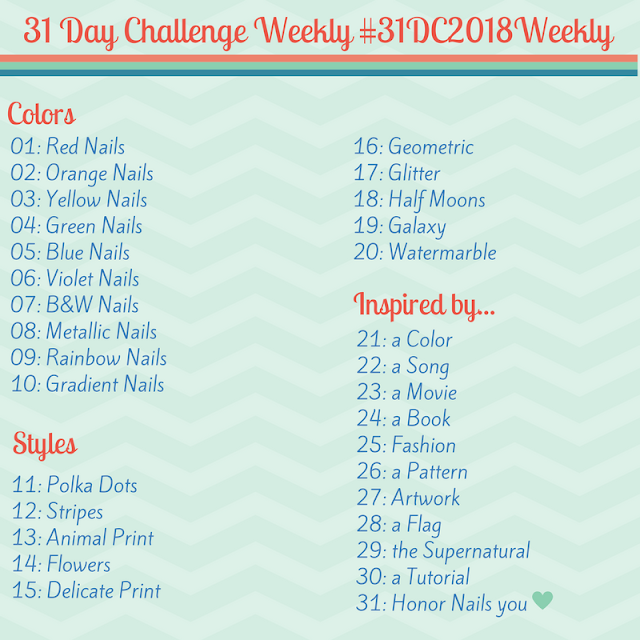 These strips are made out of real nail polish and are supposed to last for up to 10 days (I didn't test the wear time, but it would be quite dependent on which topcoat you use with the strips). Each package comes with 14 nail strips in a variety of sizes for either fingernails or toenails. The strips are pretty long (1.18 inches to be exact), so they should fit most nails. The strips are on a cardboard backing and the top is covered with a clear coating to protect the strips. I simply peeled off the clear plastic then peeled the strips off of their backing. The strips can be cut to size/shape prior to removing these protective layers if necessary. I carefully placed the strip on my nail up to the cuticle and gently pressed it down, stretching it slightly as needed to fit my rounded nails and avoid any creasing. I used a paintbrush dipped in acetone to melt off the excess strip and applied top coat. Application was really easy, and it definitely got easier as I went. If you look closely at the photos below you can see where I messed up the pattern on my index finger by stretching the strip too far (my pinky however, is perfect). My nails looked great! In about 10 minutes I had a detailed pattern on my nails, my polish was completely dry and looked flawless (no bumps, creases, or tears). Unlike some other nail "stickers" that I've used, these are very thin made out of real nail polish so they fit perfectly to your nails. My only beef with these strips is the fact that they are for the most part a bit too big for my nails (and I have relatively broad nails). This was easily fixed using a pair of scissors and some common sense, but it did add an additional step to the application. Overall, definitely some of my favorite nail strips that I've tried. They really applied easily, and I like that I don't have to use the entire package at the same time (Sally Hansen nail polish strips come in packets that must be used once they are opened or they dry out). The only downside is that the strips are currently available in a limited number patterns. Have you tried any brands of nail strips or stickers? Which are your favorites? OMG Nail Stickers currently retail for $6.89 and are sold in their online shop. Also check out OMG Nail Strips on Instagram and Facebook. Love how you put them both ways to create two different types of nails. Thanks Stephanie! I was trying to be economical and use a single strip for two fingers, and it worked to create some fun patterns! I love these Bec! They look great, but I agree - a very busy design :) I am a fan of the polish nail strips as opposed to those "other" nail "sticker" strips. I just took a peek at their selection and that's a really great selection of different designs, and at a great price!